Earrings tribal vortex for the bohemian look. Silver hue. Wear everyday or as party pieces and be the center of conversation! Hand made in India to the highest standard. 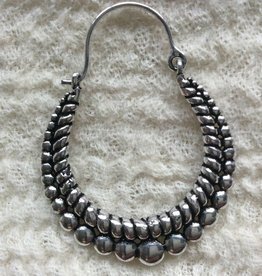 Silver colour tribal earring. 100 % handwork from Pushkar in India. The tribal ethnic trend in Jewelry is fully realised here in these lovely gypsy earrings. Only sold as pair and make a great gift. 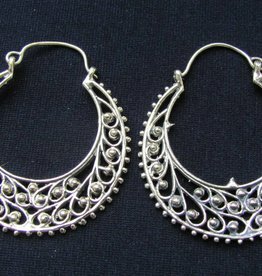 Bohemian tribal earring. Dare to be different! 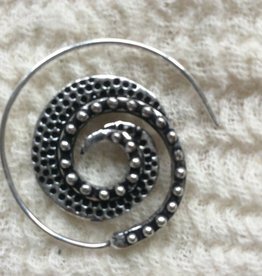 Metal alloy earring. Silver colour. Hand made in Pushkar India. 4cm across. 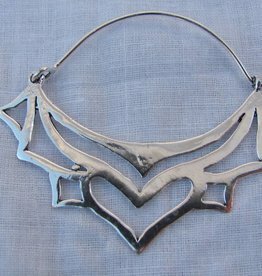 Silver colour tribal earring. 100 % handwork from Pushkar in India. The tribal ethnic trend in Jewelry is fully realised here in these lovely gypsy earrings. Only sold as pair and make a great gift. length +/- 4,50 cm. 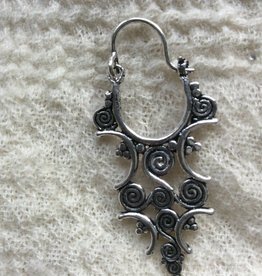 Bohemian tribal earring. Dare to be different! 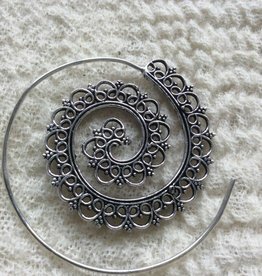 Metal alloy earring. Silver colour. Hand made in Pushkar India. 3.50cm across. 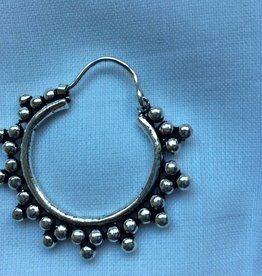 Gypsy bohemian earring handmade with love in Pushkar,India from brass ( you won't possibly be allergic to this) choose a pair ( this is easily said!) from our really big collection and have fun. 4.5cm across. 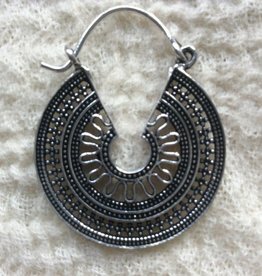 Bohemian tribal earring. Dare to be different. Silver colour. Metal alloy. Hand made in Pushkar India. 4cm across. Earring brass, diameter 4,5 cm. Earring brass, diameter 3cm, incized brass with nice tiger eye stone. 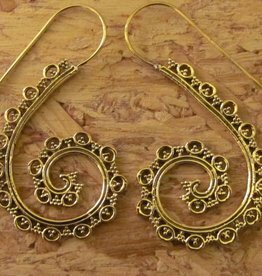 Gypsy earring handmade with love in India from brass ( you won't possibly be allergic to this) choose a pair from our great big collection( this is easily said!) and have fun. 3 x 3.5cm. Earring brass, diameter 3.5 cm. Earring brass, diameter 3.25 cm. 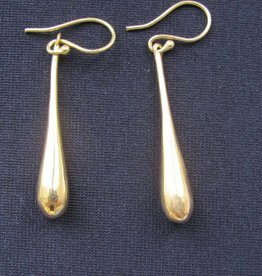 Earring brass Solid Teardrop, diameter 3.5cm (excluding ear hook). 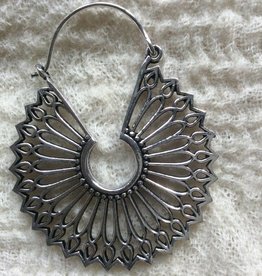 Gypsy bohemian earring handmade with love in Pushkar,India from brass ( you won't possibly be allergic to this) choose a pair ( this is easily said!) from our really big collection and have fun. 5.25cm long x 3cm wide. 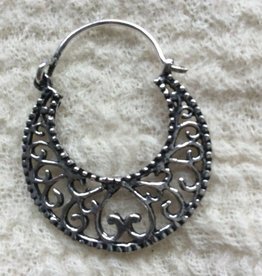 Bohemian tribal earring. Dare to be different! 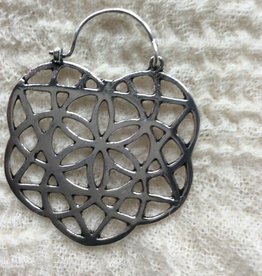 Metal alloy earring. Silver colour.Hand made in Pushkar India.4.50cm across. Also available in brass, see article number :- man/16/0100117. Metal alloy silver colour earring. Hand made in Pushkar India. Bohemian tribal style. 4cm long x 5cm wide.